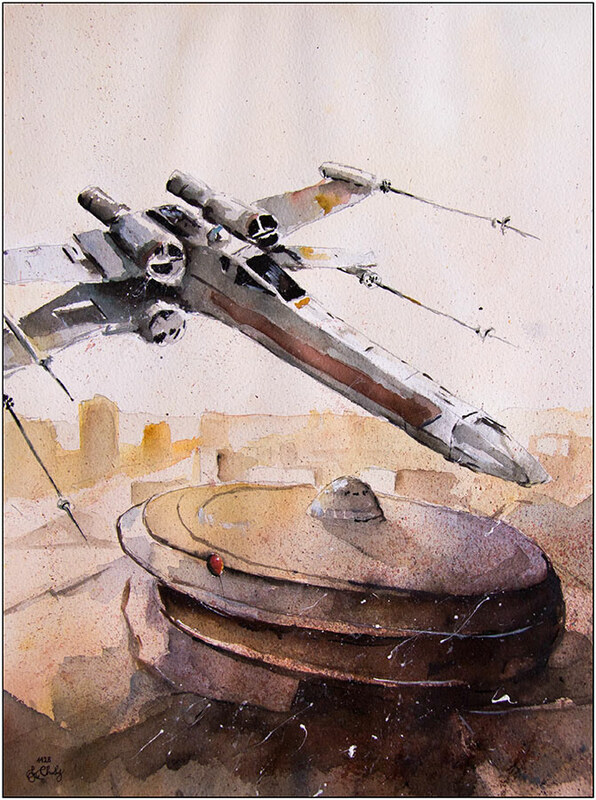 Polish Artist and Teacher Grzegorz Chudy has his second outing here on DesignStack with his watercolours based partly in the Star Wars franchise worlds and part in the Polish scenery. With the first of the new trilogy being so successful, so quickly out of the gates, there is real hope for the next ones. 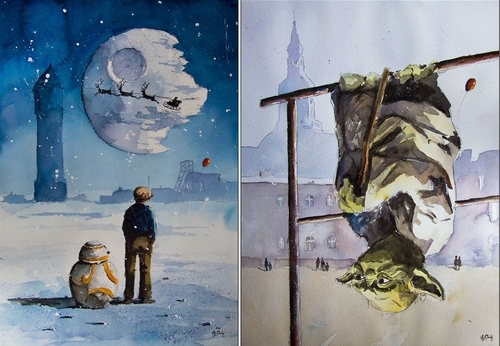 If you want to have a look at Chudy's previous work here on DesignStack, the following is a link to the post "Dreams Started, with Watercolor". 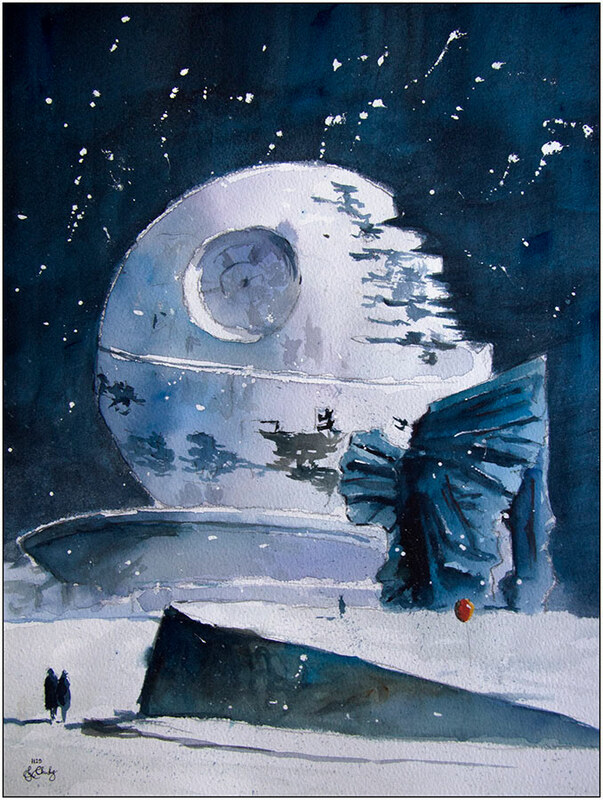 A Death Star in Katowice. 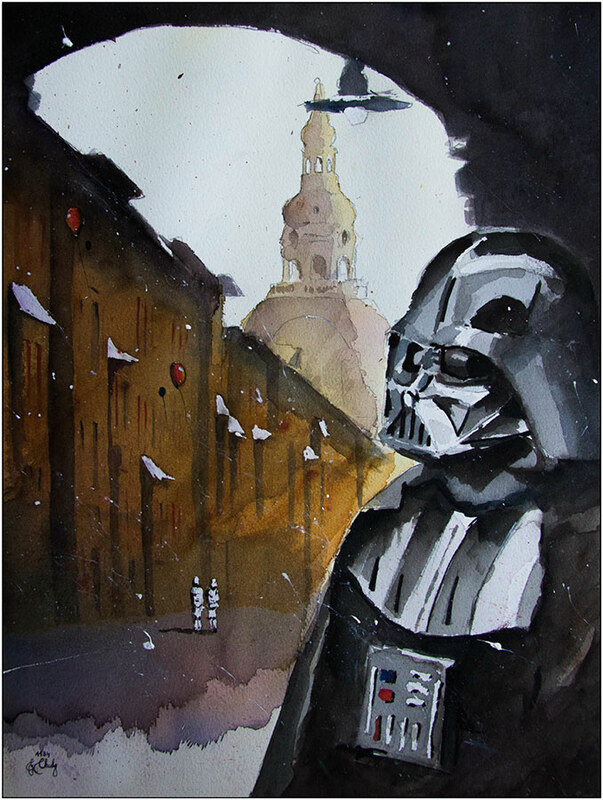 Lord Darth Vader in a gate of Nikiszowiec. 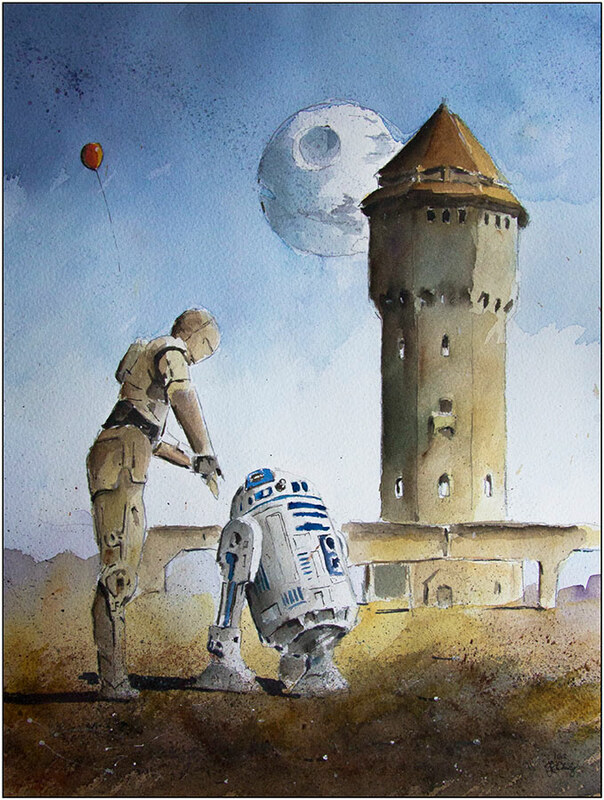 C3PO and R2D2 an old Watertower on Uthemann Metalwork. 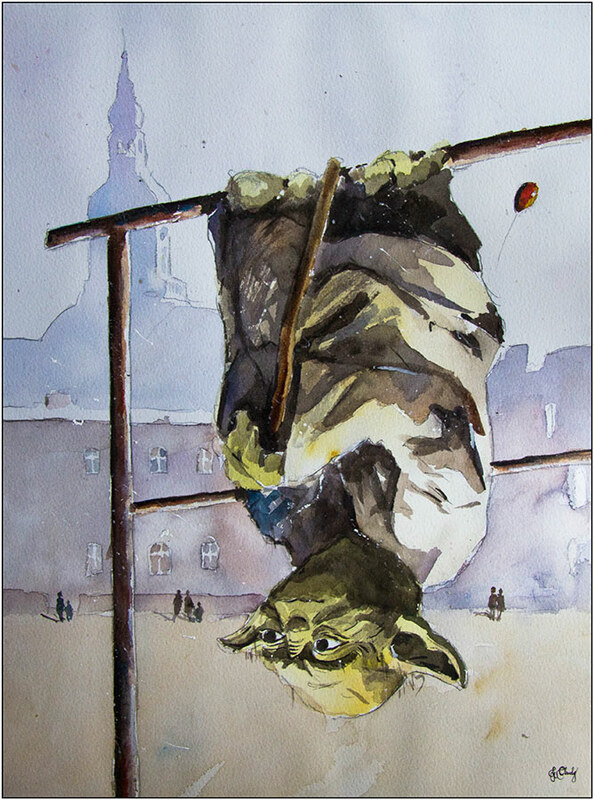 Master Jedi Yoda on clothes horse. 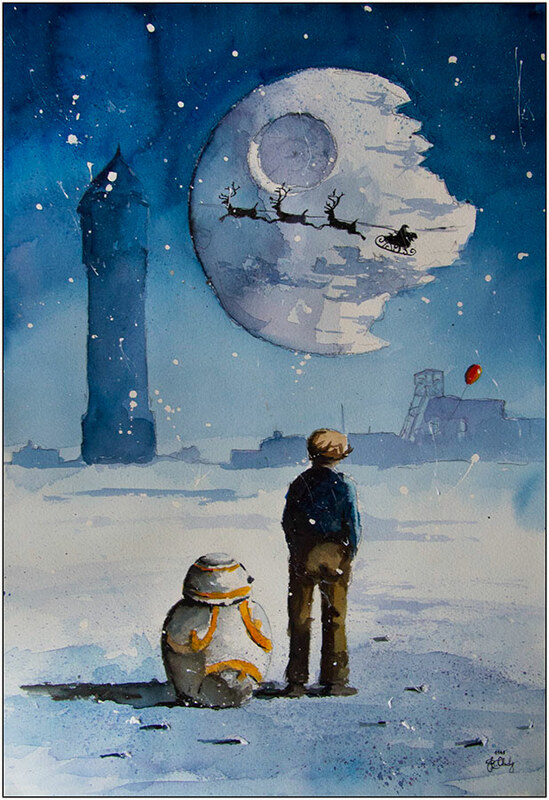 A loads of gifts under the Christmas Tree - BB8 Droid. 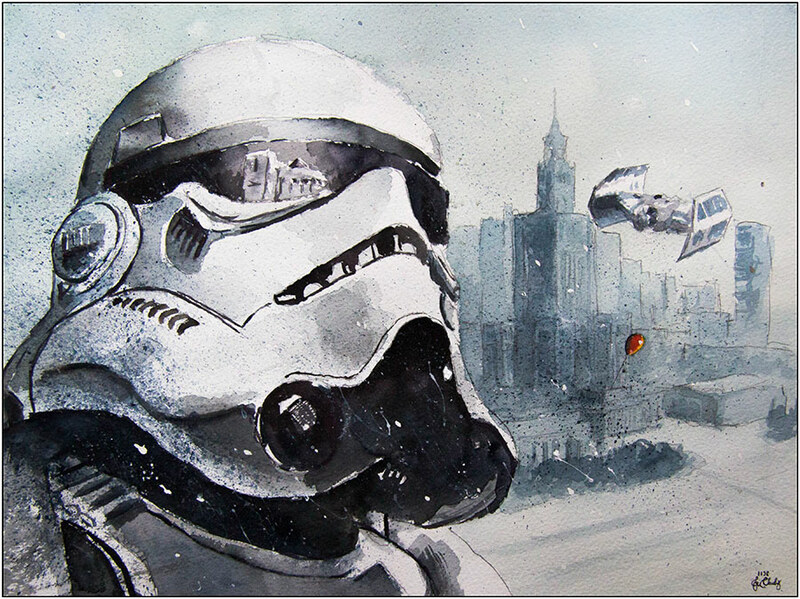 Stormtrooper Warsaw 18th December 2015. 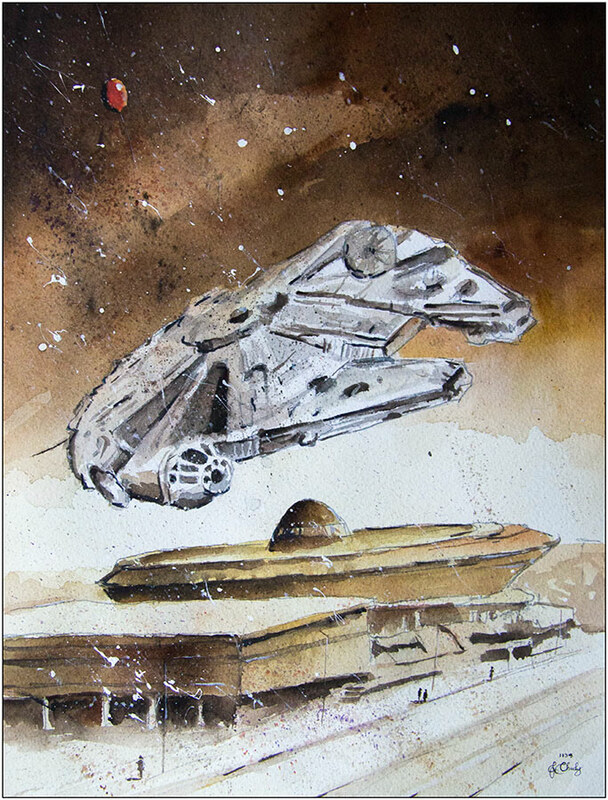 The Millenium Falcon over Spodek. 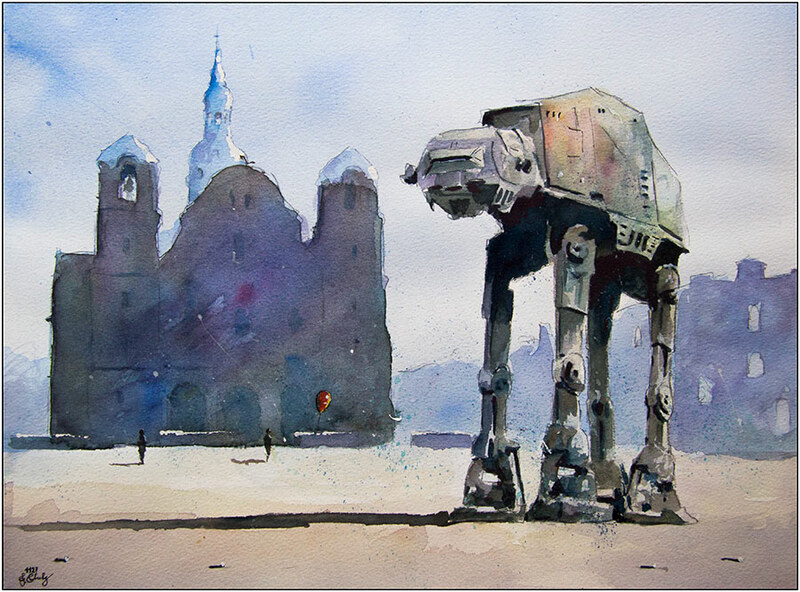 AT-AT All Terrain Armored Transport. 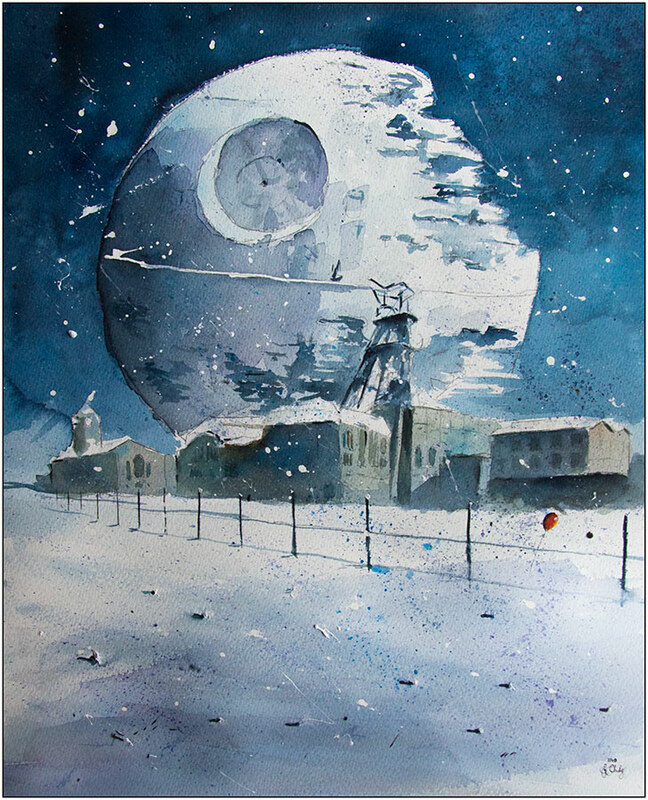 Death Star and the old coal mine. 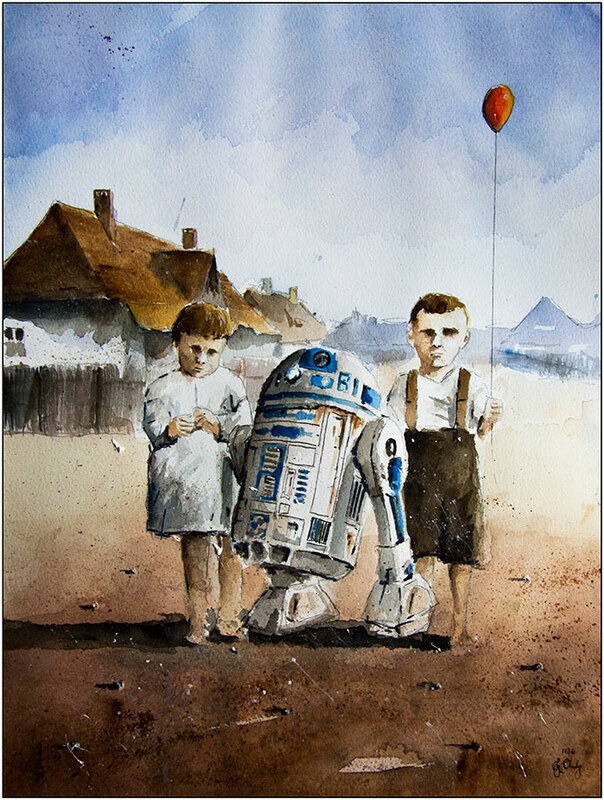 R2D2 and his friends in Old Giszowiec.